Fort Myers Beach is a town located on Estero Island in Lee County, Florida, United States. The population was 6,277 at the 2010 census. 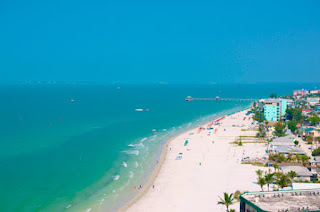 Located on Florida's Gulf Coast, Fort Myers offers its own great beaches as well as being surrounded by some 100 barrier and coastal islands to explore. The shelling is stupendous, and the nearby Bailey-Matthews Shell Museum is inspirational. The Great Calusa Blueway offers 40 miles of canoe and kayak trails.